Refreshing South Indian Murungai Keerai Morekuzambu or buttermilk stew, cooked with a coconut - cumin - chilli paste, and with the goodness of moringa or drumstick leaves. Using local ingredients to advantage! Soak the raw rice and dal in water for 10 minutes. 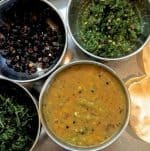 Add the soaked dhal and rice to the grated coconut, ginger, jeera, peppercorn, 2 curry leaves and the green chilli and grind to a paste, adding very little water at a time, just as much is required to make a paste of chutney consistency - not dry, not runny either. Keep aside till required. While you wait for the rice and dal to soak, let us get started on the moringa leaves. As in Ingredients list above, the leaves should not be damp or moist as you are going to saute them. Shred the leaves to pieces. Heat the coconut oil in a pan/ small kadai. Dont let it smoke, it should heat in 30 secs- 60 secs depending on the climate. Once you see some movement on the surface of the oil, add the shredded moringa leaves. Saute on low flame for just 1 minute. Drain and remove from the oil, and keep aside in a small container. Let the oil remain in the pan for seasoning later onl. Churn the yogurt - I don't add water but you could add just a little if the curd is very thick. I just whisk it with a metal whisk till it is all liquid. Place a pan on the stove, add the churned curd. Keep the heat on low throughout the cooking process as otherwise the curd will split. Keep a whisk handy to whisk it all together from time to time. Add the turmeric powder, cumin powder and salt. When the curd simmers (about 5 minutes) whisk again and then add the coconut paste. Stir it in. Still on low flame, let it come to a boil (3-5 minutes) Whisk periodically. Add the sauteed moringa leaves Continue to boil for 2 minutes and then remove from heat and continue with the seasoning as below. Use the pan in which you had sauteed the moringa leaves. Add another spoonful if there is very little oil left. You need only about 2 teaspoons max. Heat the oil as before. Add mustard seeds, let them crackle (about 20 seconds if oil is hot enough) Add cumin seeds, let them darken slightly (about 20 seconds) Add the dry red chilli, turn it around after 5 seconds so that both sides get evenly dark without going black. Add the curry leaves (I shred them first so that these nutritious leaves are eaten instead of being discarded at the corner of the plate) Pour the hot seasoning onto the morekuzhambu. Serve hot with plain rice and bhindi, beans, brinjal or karela fry. And Pappad! Thank you so much Lauren! you made my day. Thank you Veena! The murungai keerai is so versatile, isn’t it! Add it to any dish! Such an awesome delicious kadhi. This is an amazing was to include drumsticks leaves in your diet. Thanks a lot. My neighbour’s tree is going to be stripped. Thank you Archana. 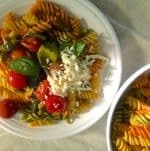 I must post the remaining recipes on using Moringa leaves, as it so simple to add this bunch of nutrition to our diets. Thats a real compliment, Seema, thank you! It’s like sending coal to Newcastle! Thank you Sasmita! Its amazing how flexible these moringa leaves are, you can add them to almost anything! Don’t know how to express my feelings. A completely new recipe for me Thanks for sharing Today morning I was talking about this drumstick leaves. One of my friend called me and asked about some vitamin A rich ingredients. And I told her about this drumstick leaves full of vitamin A. Now here is your post. This sounds mouthwatering. Awesome share. And yes pictures are perfect for magazine cover. Beautiful. Aww. Thank you, Sujata Roy! This is the first of a series, and I will try to post the remaining recipes at the earliest! Thank you! Will let you know when I post them! 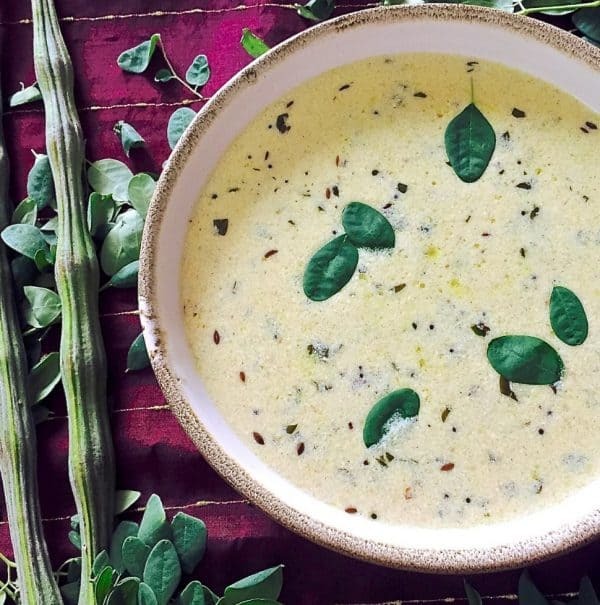 Your moringa leaves curry with coconut and yogurt sounds so delicious di ! The fact that it is full of nutrition as well, I would love making this.. just that we do not get drumstick leaves here in Mohali. Any ways bookmarking the recipe as I hope to try it out when i am at my parents home. They do have a tree in their society. 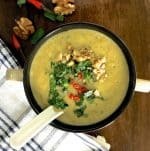 I love yogurt based curries, this looks so delicious and full of flavours. I am waiting for fresh moringa leaves to arrive in Indian stores here, so that I can try a few moringa leaves based recipes!! Beautiful capture!! Thank you Swaty! I do hope you are able to get some fresh leaves, and try out all the recipes I plan to post using them! Wonderful idea to use drumstick leaves in Mor Kozhambu.I can wipe off a whole bowl of rice with this kozhambu.Loved this healthy share. Thank you Preethi! Morekuzhambu is totally comfort food for me too! 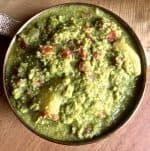 Such a wonderful preparation Sujata, I would love to try out this curry as its easy and we get moringa leaves here too… only thing is need to pluck them off the tree and they are pretty high!. I’m sure your readers are happy that you’ve prepared a recipe with locally available ingredients and its healthy. Thank you Mayuri! Im trying to post more such recipes with indigenous traditional ingredients. Btw the Moringa tree at my apartment also has the leaves quite high up ( I think thats how they grow everywhere) but our apartment block gardener gets me the leaves whenever I ask for them. Maybe he uses a ladder! ust got a batch of fresh morninga this morning! I would like to make this morkuzhambu with that .. yummy , inviting pic and so glad you could join us this week, sujata! It’s lovely to know you have access to this in your apartment complex. And yes moringa is new fad in the nutrition world altho our grandmoms used it regularly .. Thank you Kalyani! Yes, the traditional ingredients are slowly finding favour again! I use these leaves in many dishes, and am planning to post them one by one, so people can see how easy it is to use this nutritious gift of nature! An excellent way to include Murunga elai in our diet. I love Mor Kuzhambu over Sambar any day as its much mildly spiced and yogurt based. Indian ingredients are so healthy, we only need some time and effort to experiment on ways to include them in our diet rather than opting for very expensive superfoods. Moringa is one such example. Thank you Vidya! 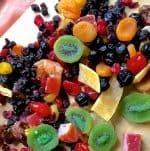 It is amazing to have superfoods like this literally in ones backyard! Im making full use of the privilege! Thank you Priya! Morekuzhambu is total comfort food for me!